Theology and Science is the quarterly, peer-reviewed journal of CTNS. It features articles, editorials and book reviews on a variety of topics in the scholarly, interdisciplinary field of theology and science. CTNS members receive current issues in print, as well as online access to the current and all former issues. Please visit https://www.tandfonline.com/toc/rtas20/current for the current issue and to learn how to subscribe/become a CTNS member. The Vatican Observatory / CTNS project involved a multi-year collaboration between the two institutions. The project, and the accompanying series of publications, focuses on the theological concept of divine action in relation to contemporary scientific theories. 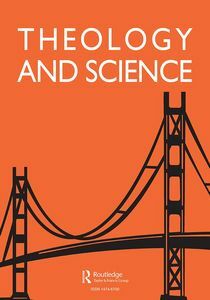 Featuring an international team of scholars including physicists, biologists, neuroscientists, philosophers, and theologians, this series consists of an inaugural volume on foundational topics (Physics, Philosophy, and Theology) followed by five co-published volumes on the theme of science and divine action: Quantum Cosmology and the Laws of Nature (1993), Chaos and Complexity (1996), Evolutionary and Molecular Biology (1998), Neuroscience and the Person (1999), and Quantum Mechanics (2002), and concluded with an assessment volume pointing to future research topics, Scientific Perspectives on Divine Action: Twenty Years of Challenge and Progress (2008). Chapter summaries are available at http://ctns.org/books.html.